As far as we’re concerned, you can keep your box of chocolates, dozen long-stem roses, and overwrought prix fixe menus. The most romantic way to spend Valentine’s Day is to get out of dodge. Ride shotgun with that special someone by your side and put on your favorite Spotify playlist. Whether you want to relax in natural hot springs, go snow-shoeing in a forest, or spend all day hitting up wineries, here are seven road trip ideas just a day’s drive from Washington, DC. Missed your chance on Valentine's Day? No big -- these trips are perfect any time you need a relaxing getaway with your sig oth. Where to stay: Perched on a mountaintop is the quaint Gobbler’s Knob guesthouse with a classic wood-burning fireplace and two-person whirlpool tub for relaxing. The cozy mountain town of Berkeley Springs, WV is known for its Roman-style baths with warm mineral water that flows from the springs at a comfortable 74.3 degrees. Not only that, but the town boasts historic shops and romantic restaurants -- including Lot 12 Public House with indulgent dishes like duck breast, hangar steak, and piña colada crème brûlée. The nearby Cacapon Resort State Park is ideal for moseying in the woods, horseback riding, or simply taking in the view with each other. It's called nature, ever heard of it? Where to stay: Rest your head where Wedding Crashers was filmed: the Inn at Perry Cabin, a colonial mansion on the waterfront with 78 rooms, antique fireplaces, an infinity pool, and seafood restaurant. The inn's winter indulgence package is available until March 31st. The Eastern Shore town of St. Michael’s feels like a place frozen in time, back when the maritime industry dominated the landscape and a stroll down Talbot Street was the busiest part of your weekend. There is plenty to explore here, like the Chesapeake Bay Maritime Museum, quirky stores like the Preppy Redneck, and boozy destinations Eastern Shore Brewing Company, St. Michael’s Winery, and Lyon Distilling for rum and whiskey samples. 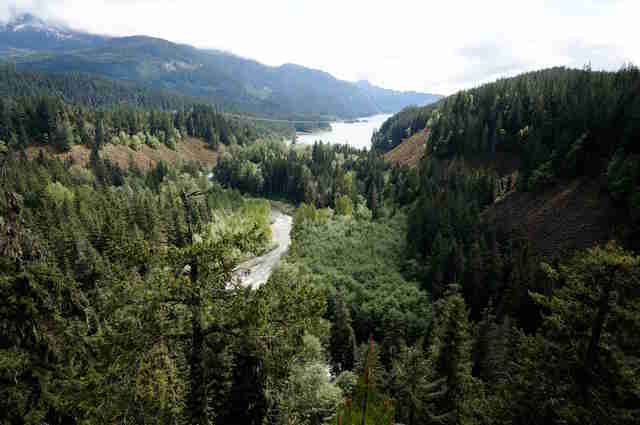 Where to stay: The Savage River Lodge is nestled within 700 acres of the forest and boasts a restaurant with an extensive wine list, stone fireplaces, chef-for-a-day classes, and even accommodations for your pets. 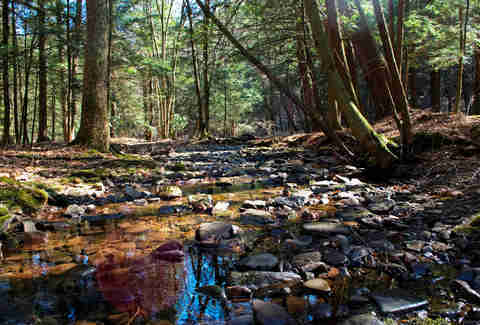 To achieve the feeling of being totally surrounded in the wilderness without reaching Bear Grylls, master outdoorsman levels, this Western Maryland park is your place. The forest itself offers 13 miles of trails for cross-country skiing, downhill skiing, and snowshoe trekking. For something a bit more magical, hitch a ride on the back of a carriage or sleigh through Pleasant Valley Dream Rides. Where to stay: The 19th century stone cottages and gardens at the Inn at Montchanin Village are the perfect romantic backdrop with a spa, fireplaces, and breakfast at the whimsical Krazy Kat’s. Just outside of Philadelphia is the bucolic Brandywine Valley with its rolling hills, massive estates, and rambling Brandywine Creek. Take in culture at the Winterthur with its 89,000 pieces of American art or history at the Brandywine Battlefield Park. There are plenty of places to eat in drink, but we recommend heading over the state line to drink a flight at Kennett Brewing Company and enjoy a pizza with local mushrooms at Sovana Bistro. Where to stay: The family-owned, 23-room Frederick Inn is walkable to all of downtown Staunton’s attractions and serves its guests delicious wheat waffles for breakfast. 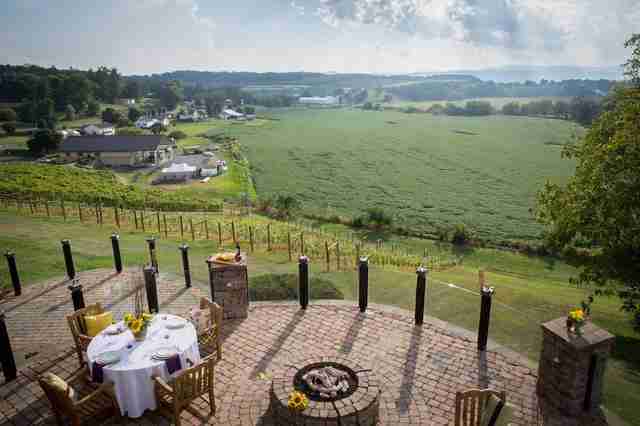 With nearly 30 wineries officially a part of the Shenandoah Valley Wine Trail, there will be no shortage of sipping and swirling on this romantic getaway. While there are plenty to choose from, a good itinerary would be to start at Bluestone and Barren Ridge for hillside views and finish up at the downtown tasting room of Ox-Eye Vineyards. From there, take yourself to the Red Brick district full of art galleries, live music, and restaurants like the Clocktower for muchie-satisfying fried pickles and tacos. Where to stay: A couple’s trip wouldn’t be complete without lodging at the 18th century Reynold’s Tavern, where you can enjoy high tea in the afternoon or head downstairs to the pub, which features local craft beers and a walk-in fireplace dating back to 1747. 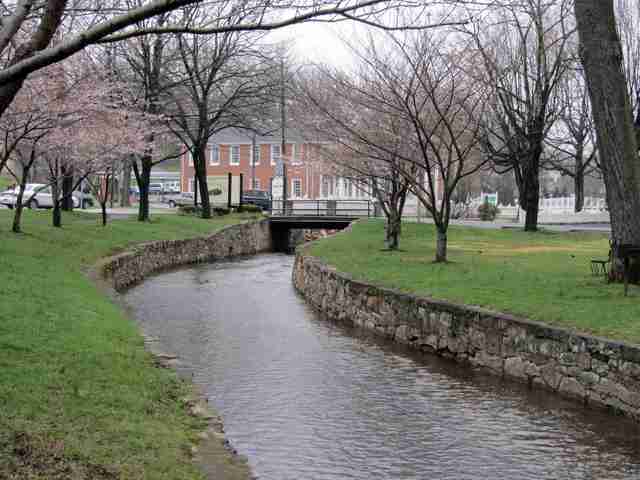 Maryland’s state capital is full of romance, with its historic buildings, cobblestone streets, and the occasional breeze drifting off the water. 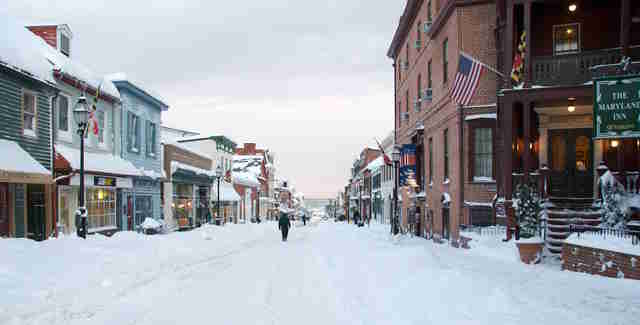 There are plenty of ways for couples to enjoy the town, like ice skating in Quiet Waters Park, touring the historic Naval Academy or Annapolis Maritime Museum, enjoying dinner and fancy cocktails at Level, or taking in a blues or rock show at Rams Head Tavern. 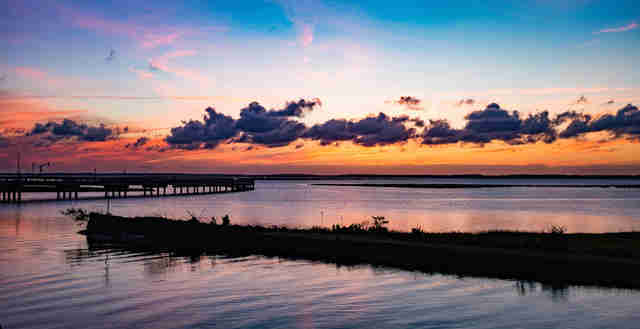 Where to stay: Where else but where writer Marguerite Henry penned her famous children’s book, Misty of Chincoteague. 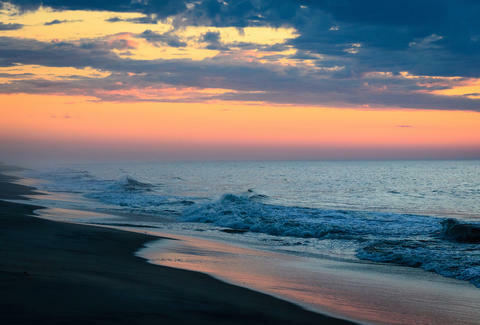 If you and your special someone want to get back in touch with that thing called nature, there is the 14,000-acre National Wildlife Refuge of Chincoteague. You won’t find any cheesy boardwalks or arcades at this beach, just great pony watching (even in winter! 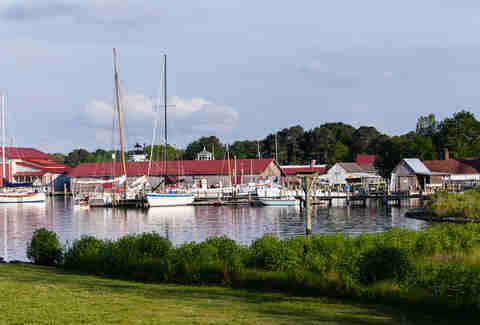 ), charming shops like Sundial Books, and local seafood spots like Bill’s on Main St for fresh oysters and crab imperial. Jess Mayhugh is the digital editor at Baltimore magazine, and she spent her first wedding anniversary downing rye whiskey with her husband at Lyon Distilling. Follow her for all things boozy @jessmayhugh.